Toronto Krav Maga Academy (TKMA): "Attack the Attacker": When Aggression is Neccessary for your Survival. "Attack the Attacker": When Aggression is Neccessary for your Survival. Avoidance is the best self defense. We also advocate using appropriate force. For example, if someone grabs your wrist in a public place you might choose to perform a wrist release and tell him to stay away! This is a soft (non striking) defense that is appropriate for the situation. There are many instances, however, where techniques must be performed very aggressively. Punches, kicks, chokes, and knife attacks are just some of the situations that require you to be very aggressive - to "attack to attacker". For most of us, the idea of punching someone in the face, kicking in the groin, or biting, is abhorrent. The alternative, however, is succumbing to his attack. Here are some scenarios, along with some brief explanations, of how aggression improves your chance of survival. Here, a woman is defending against a larger man trying to choke her. Besides, performing a pluck with her left hand to release his hold, she is attacking his eyes to create space to better escape. Without her attack, he can quickly react by reestablishing he choke, hitting her, or both. Defending against a gun threat, this woman needs to redirect the gun, control the arm, and strike very aggressively. Without this strike the assailant will more likely use his superior size to pull his arm away or hit her. She makes sure he is preoccupied with something else - in this case, the pain inflicted by her elbow. After being attack from behind a woman is kneeing her attacker to facilitate an escape. Without these strikes he can readily grab or strike her and regain control. IKMF director, Avi Moyal, is defending against a close range ice pick attack. He blocks and strikes simultaneously to stun or disable the attacker. Without, the strike the stabs would likely continue. 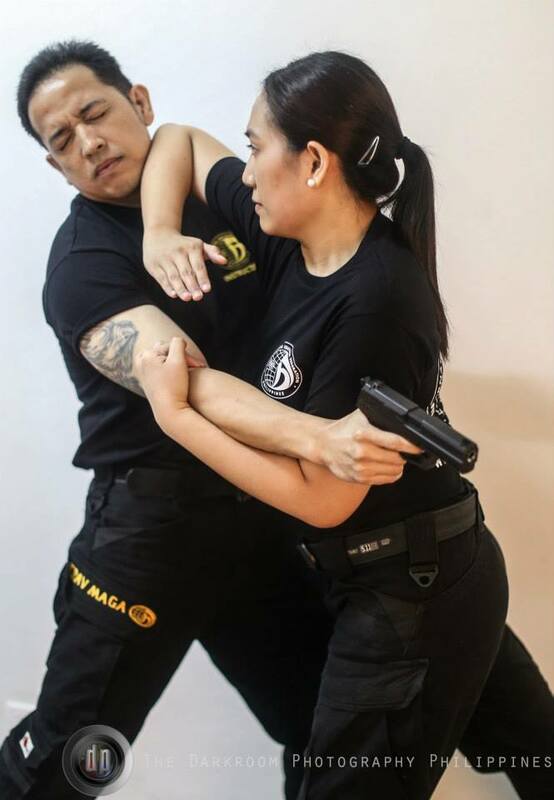 Confronted by a larger attacker, Global Instructor Megan Berkman attacks the assailants eyes. Defending on the ground, particularly against someone larger requires skill and aggression. 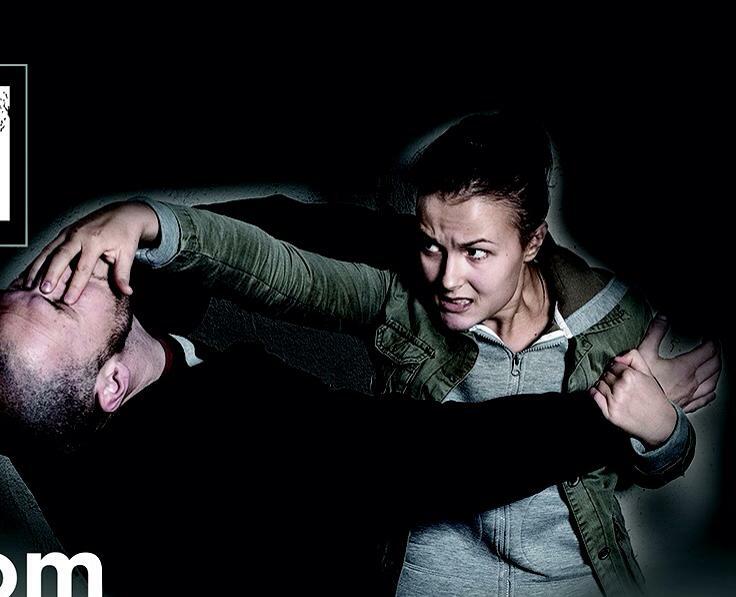 Here, a woman is striking the attacker's face with a palm strike to create room to use legs to kick and escape.